The Richard Nixon Foundation will award a number of research and travel grants of up to $2,500 each for the 2019-2020 academic year. 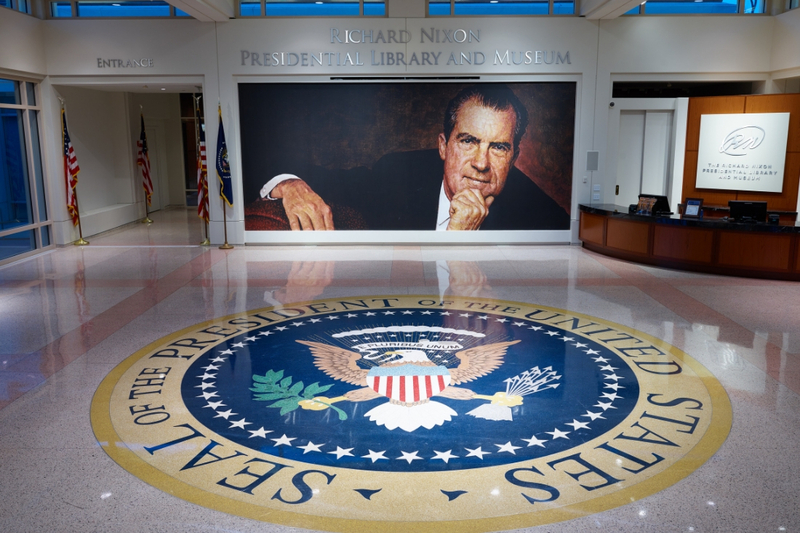 The grants, for scholars studying the life and times of the thirty-seventh president, are intended to defray travel expenses and facilitate use of the extensive archival holdings of the Richard Nixon Presidential Library in Yorba Linda, California. The Nixon Foundation research/travel grants are intended to support students and scholars whose research would particularly benefit by being in Yorba Linda. The Foundation may also award a dissertation grant of up to $10,000 to assist a doctoral candidate whose research has been completed, to write his or her dissertation without having to teach or find other employment. Priority will be given to qualified proposals that deal directly with Richard Nixon, and for which the Library’s resources are most relevant. Qualified proposals that deal with RN indirectly, and with the period 1913-1994 (essentially, the 20th Century), will also be considered. The Nixon Foundation Grants Review Committee will comprise a representative of the Richard Nixon Foundation, a representative of the Nixon Presidential Library, and three independent academics. Applications for grants, to be submitted online, should include the candidate’s CV; the title, and a description of the proposed project and research; and two letters of recommendation. The 2019 application deadline is April 30, 2019. Grant recipients will be informed on July 1, 2019. Click here to begin the application.